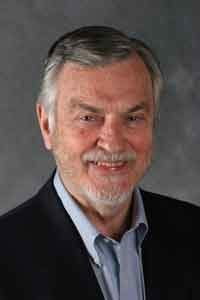 Harville Hendrix, Ph.D. is a Clinical Pastoral Counselor who is known internationally for his work with couples. He and his wife, Helen LaKelly Hunt, Ph.D. co-created Imago relationship therapy and developed the concept of “conscious partnership.” Their personal partnership and collaboration has resulted in nine books on intimate relationship and parenting. Harville holds a Ph.D. in Psychology and theology from the University of Chicago. He has appeared on many national radio and television shows, including 17 guest appearances on the Oprah Winfrey Show. One of his appearances won him an Emmy award for the “most socially redemptive” daytime talk shows, and was included by Ms. Winfrey in her top 20 shows. Harville is the author of Getting the Love you Want: A Guide for Couples and Keeping the Love You Find: A Personal Guide, both New York Times’ best sellers. With Helen, he co-authored Giving the Love that Heals: A Guide for Parents, also a best seller, and Receiving Love: Transform your Relationship by Letting Yourself be Loved. Their most recent book is Making Marriage Simple, 10 Truths for Changing the Relationship You Have Into the One You Want (2013). Their books are published in over 57 languages. Harville and Helen have also produced a video for couples broadcast on more than 300 public television stations. Harville and Helen have six children and three grandchildren. Click here to visit Dr. Hendrix’s personal website. Helen LaKelly Hunt has a Ph.D. in theology from Union Theological Seminary in New York City, and three degrees from Southern Methodist University: a B.A. in Secondary Education, an M.L.A in Liberal Arts and an M.A. in Counseling, along with an honorary Ph.D. from the Chicago Theological Seminary. Committed to building a society that invites the full participation for all, Helen has long recognized the need to strengthen women’s rights and leadership. She has been active in the women’s movement for several decades. She is founder and president of The Sister Fund, a private foundation dedicated to the social, political, economic, and spiritual empowerment of women and girls. Helen helped found a number of other women’s funding institutions including the Dallas Women’s Foundation, The New York Women’s Foundation and the Women’s Funding Network. Helen has served on the Boards of Directors of the Ms. Foundation for Women, Women and Foundations, and the New York City Women’s Agenda. Among Helen’s major civic activities has been her active membership on the Childcare Commission for the Mayor of the City of New York. Helen has been recognized for her leadership in building the women’s funding movement, including the following awards: the National Creative Philanthropy Award from the National Network of Women’s Funds, Gloria Steinem’s Women of Vision Award through the Ms. Foundation for Women, the Equity Leadership Award from Nontraditional Employment of Women (NOW), the Laura Parsons Pratt Award for outstanding Achievement on Behalf of Women and Children from the Federation of Protestant Welfare Agencies, and as an Honoree of the Center for the Elimination of Violence in the Family. Helen has been inducted into the National Women’s Hall of Fame in Seneca Falls, New York. Helen is the author of Faith and Feminism: A Holy Alliance. 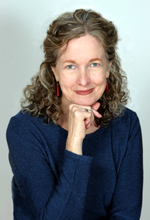 She has co-authored eight books about Imago with her husband, Harville Hendrix and has been instrumental in the development of Imago relationship therapy.